← Buffy The Vampire Slayer! – Don’t ruin the legacy with a remake. When I was recently walking Hadrians Wall, there were countless Roman sites to visit either on or just off the wall. Having visited many all ready, the one I most wanted to visit was Vindolanda. You can see my blog post on Vindolanda here. Out of everything in Vindolanda, the objects I most wanted to see were the special treasures inside the museum there. The most amazing treasures are not gold coins, precious stones or even well-preserved weapons but instead is an unequalled collection of writing tablets. These tablets record daily life such as letters from soldiers asking for socks and underwear, a birthday party invitation to the forts commander’s wife, requests for payment, lists of goods supplied and troop deployments. 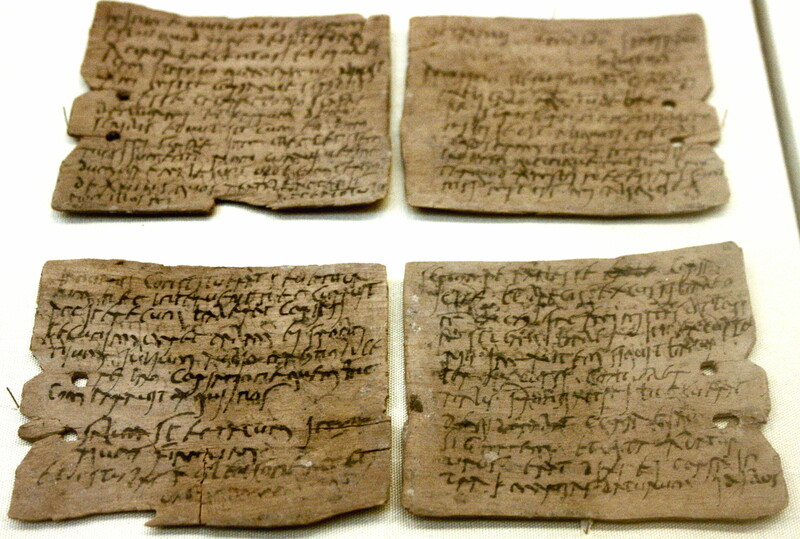 The Vindolanda writing tablets were voted Britain’s ‘Top Treasure’. They are a truly unique and remarkable record of everyday life in the Roman Empire enabling visitors to connect with the real people to whom Vindolanda was home 2000 years ago! Just some of the many Roman writing tablets found at Vindolanda. The best-known document is perhaps Tablet 291, written around AD 100 by Claudia Severa, the wife of the commander of a nearby fort, to Sulpicia Lepidina, inviting her to a birthday party. The invitation is one of the earliest known examples of writing in Latin by a woman. There are two handwriting styles in the tablet, with the majority of the text written in a professional hand (thought to be the household scribe) and with closing greetings personally added by Claudia Severa herself (on the lower right hand side of the tablet). It is thought it possible that this is the only known surviving writing by a lady in the whole Roman Empire. There are only scant references to the indigenous Celtic Britons. Until the discovery of the tablets, historians could only speculate on whether the Romans had a nickname for the Britons. Brittunculi (diminutive of Britto; hence ‘little Britons’), found on one of the Vindolanda tablets, is now known to be a derogatory, or patronising, term used by the Roman garrisons that were based in Northern Britain to describe the locals. If you can’t get all the way to Vindolanda then you can see many of these tablets in the British Museum in Bloomsbury, London. Of course there are many other Roman texts that have been found in Britain such as the famous Roman Curse tablets you can see in Bath but most of these have been scribed using some sort of metal implement. 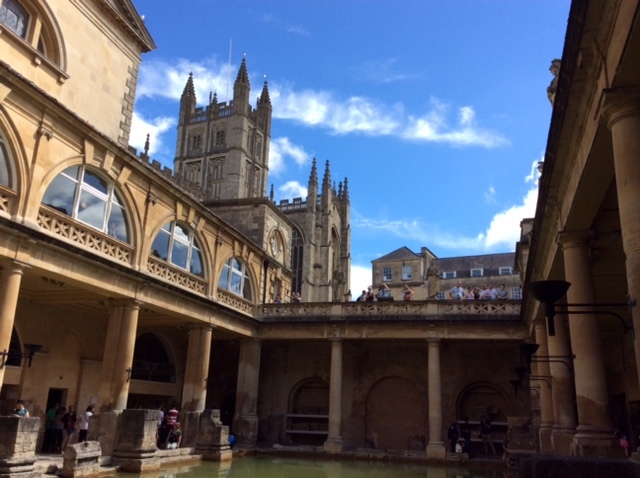 If you are visiting Britain you can visit several Roman sites with Ye Olde England Tours. Not just the world famous Roman Baths but also the Roman city of St. Albans which is just outside London and our new Roman London walk which visits the Temple of Mithras, the London Coloseum and many other places. This entry was posted in Heritage, history, Northumberland and Durham, Travel, writing and tagged Hadrians Wall, Roman, Roman Wall, Vindolanda, Vindolanda Tablets. Bookmark the permalink. That’s where the real history is, the every day activity of normal people. Things like bills for banquets can show how much one noble was trying to impress another and so on, and letters can help form an idea of how people used to think. If you like ancient Near East stuff, like Sumeria, Assyria and so on, Digital Hammurabi is a really good, quite new YT channel run by a husband and wife team. They’ve also appeared on the non-Squitur Show and Godless Iowan. There’s an amazing amount of stuff available from clay tablets up to 5000 years old. Yes I agree, it is the personal aspect that makes the letters so interesting and to see what people were doing then and how it wasn’t very much different to what people do today. Thank-you I will definitely check out their YT channel, that is all my favourite stuff. Oh excellent thanks for that. Fascinating stuff. If you ever look at The Non-Sequitur show, beware of the Flat Earthers. They like to do what they call “Dumpster Fires” with Dunning-Kruger Creationists. But there’s a lot of good stuff as well. I’d recommend Aron Ra vs Kent Hovind on evolution, Elephants and Pine Trees, and the after show with G Man on Steve MsRae’s channel if you fancy a laugh. But one day they had Dr Joshua Bowen on and encouraged him to form a channel of his own, hence Digital Hammurabi. One of my favourites is when they were on Non-Seq and debunked Sitchin and Ancient Aliens, and shattered all of poor Kyle’s remaining few delusions! Thank-you. Yes that is incredible. I bet she would have no idea that her few words would be all we had from 50% of the population of Europe over so many centuries. What a thought- all that remains is the shopping list!! Thanks for lettong me know. Gives a great life insight on roman life north of rome. It’s incredible how some of the best insights come in the most unexpected places and also how much a simple letter can mean so much more than all manner of collection of weapons and more conventional artefacts. Reblogged this on Genesis our Evolution.